Guardian Automotive combines the company’s dedicated European manufacturing facilities and state-of-the-art warehousing and distribution services, headed by a single team, able to offer seamless, fast and reliable service. All Guardian Automotive activities are fully supported by the extensive R&D and technical services of Guardian Glass. The company is fully committed to the automotive segment and is currently making significant investments in assets and people with the clear objective of meeting the needs of the industry in terms of current and future requirements. Guardian Automotive is exhibiting in hall 6.2./stand A50, at Automechanika (13-17 September 2016) in Frankfurt, Germany. For more information, please visit www.automechanika.com or www.guardianautomotiveglass.com. Guardian Industries Corp. is a privately held, diversified, global company headquartered in Auburn Hills, Michigan. Guardian, and its family of companies, employ 17,000 people and operates facilities throughout North America, Europe, South America, Africa, the Middle East and Asia, with a vision to create value for customers and society through constant innovation using fewer resources. Guardian Glass is a leading international manufacturer of float, value-added, and fabricated glass products and solutions for architectural, residential, interior, transportation and technical glass applications. SRG Global is one of the world’s largest manufacturers of advanced, high value coatings on plastics for the automotive, commercial truck and consumer goods industries, providing solutions for greater surface durability, structural integrity, functionality, vehicle efficiency and design flexibility. Guardian Building Products is a leading U.S.-based distributor of specialty building products. Visit www.guardian.com. 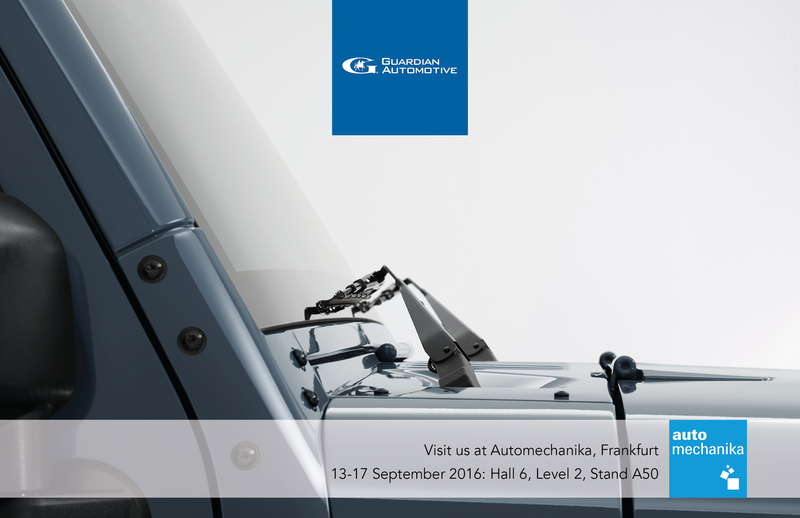 Guardian Automotive is exhibiting in Hall 6 Level 2 Stand A50 at Automechanika (13-17 September 2016) in Frankfurt, Germany.